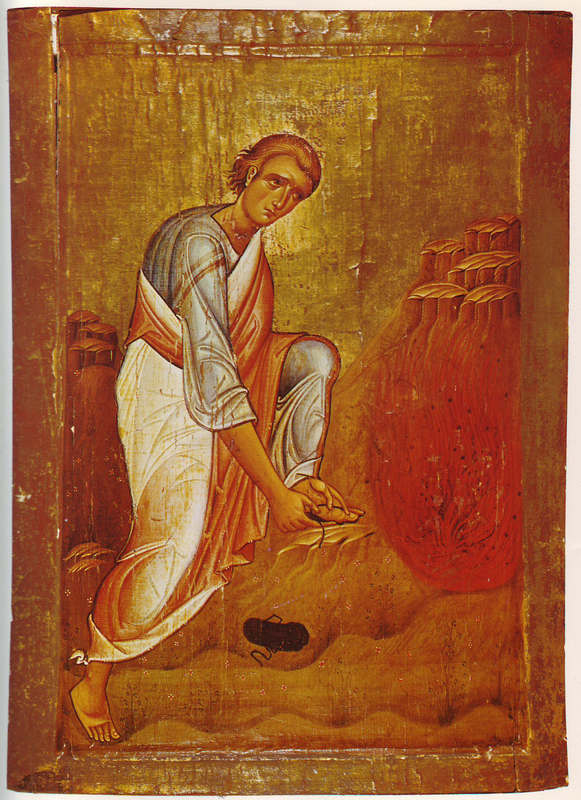 You ascended to the heights of the virtues, Prophet Moses; / therefore, you were deemed worthy to see the glory of God. / Having received the grace-filled tablets of the Law, / and bearing the grace of the writing within yourself, / you were the honorable praise of prophets, / and a great mystery of piety. The choir of prophets rejoices with Moses and Aaron today, / for the fulfillment of their prophecy is in our midst. / The Cross, by which You have saved us, shines forth today. / By their prayers, O Christ God, have mercy on us.